Dish of porcelain, saucer-shaped. 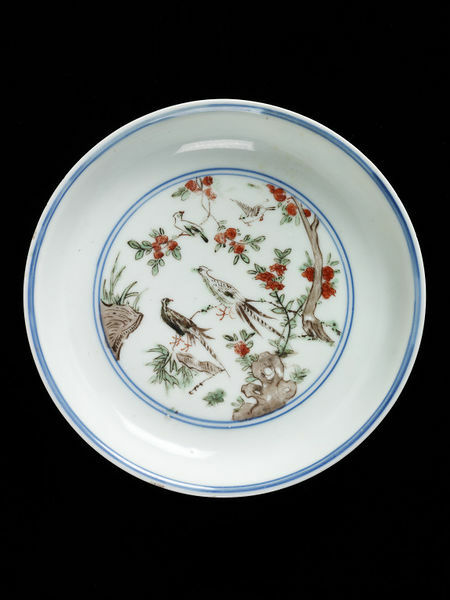 Painted in underglaze blue and in red, green and brownish-purple enamels. 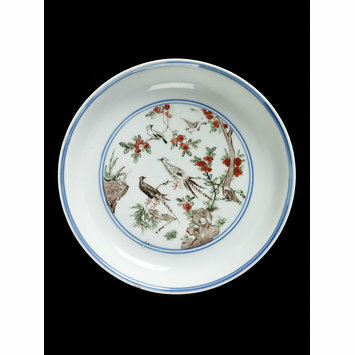 In the middle, within a medallion, are two pheasants and two small birds amongst rocks form which grows a peach-tree bearing fruit. On the under side of the rim, three dragons with sacred fungus on scrolled stems issuing from their mouths, in blue.